Montclair, NJ, January 08, 2019 --(PR.com)-- Sherell Benders-Smith, Ed.S. of Montclair, New Jersey has been recognized as a Woman of the Month for September 2018 by P.O.W.E.R. (Professional Organization of Women of Excellence Recognized) for her outstanding contributions and achievements in the field of education. Each month they feature women to represent their professions and industries due to their expertise and success in their chosen specialty. Sherell Benders-Smith is a guidance counselor and the owner of the Home of Positive Enlightenment, which is a nonprofit organization and home for at risk teens. With over 25 years experience, she is responsible for the overall operations and administration of the home. Sherell oversees counseling for at risk teens and provides them with life skills and coping techniques, and helps them overcome dysfunctional family life. Sherell earned her M.A. in Counseling and an M.A. in Administration and Supervision from Montclair State College. She has an Ed.S. from Seton Hall University. 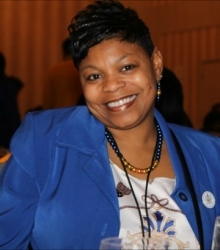 She belongs to and is still active with the Sigma Gamma Rho Sorority. In her spare time, she enjoys community service and traveling. Ms. Benders-Smith advises that her mother, Pamela Benders, guided her to have a career right after graduation from Ramapo College making sure she had security and a pension upon retirement. During her wonderful 22 years in education, she adopted female students, mentored students and actively encouraged their growth socially, emotionally, and academically.